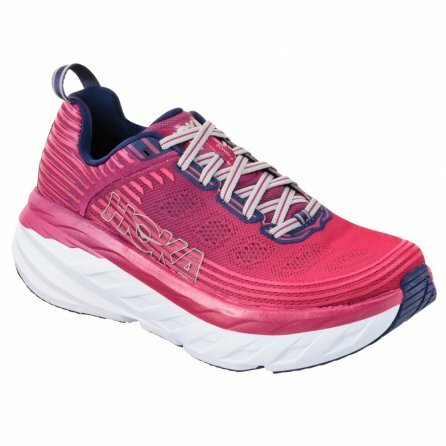 Cushion smooths out the sharp strikes of running, and nothing has more cushion than the Hoka ONE ONE Bondi 6 Running Shoe. It features a compression molded EVA foam midsole, giving you bottomless cushion even on rough terrain, and plenty of support thanks to an Engineered Mesh Upper that's backed up by a Lycar Comfort Frame in the heel. Early Stage Meta Rocker smooths the transition from heel to toe, and the rubber outsole is designed to not only increase traction but reduce weight as well.